The Girls Club at the Red Rose School in Kibera, Kenya completed an activity that help them explore what social issues they cared about. The activity comprised of using different images (newspaper articles) that displayed certain issues (AIDS, environment, women's rights, etc.) , while the girls reflected on the images that resonated with them most. The images that spoke to them helped them identify what issues they were keen on championing. 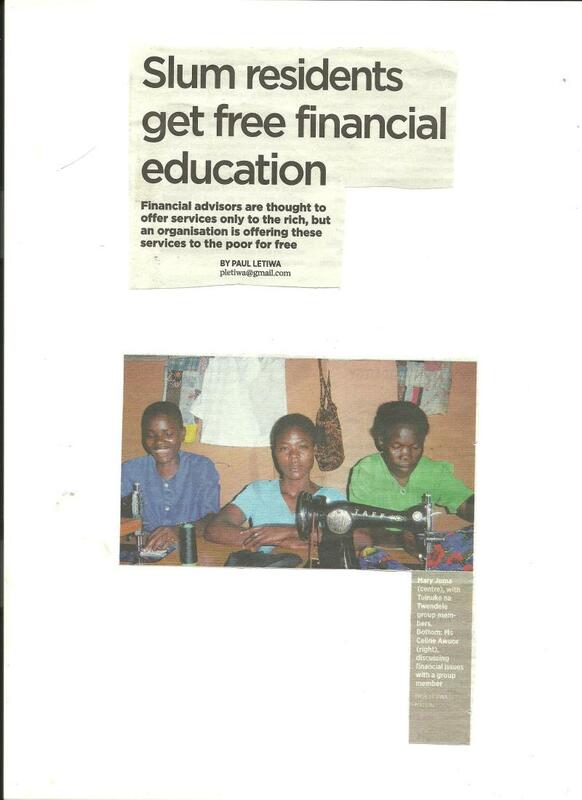 They then wrote about their roles in impacting the world positively, in their own ways. Planting trees, helping the poor, building houses for the slum people, giving aid to those who have no food by offering them clothing and shelter, volunteering in community outreach (like helping with community work, helping to raise funds for the vulnerable street children so that they too can have an opportunity to gainful education), volunteering to play and share their time with the abandoned kids at the children’s homes, caring for our old parents. 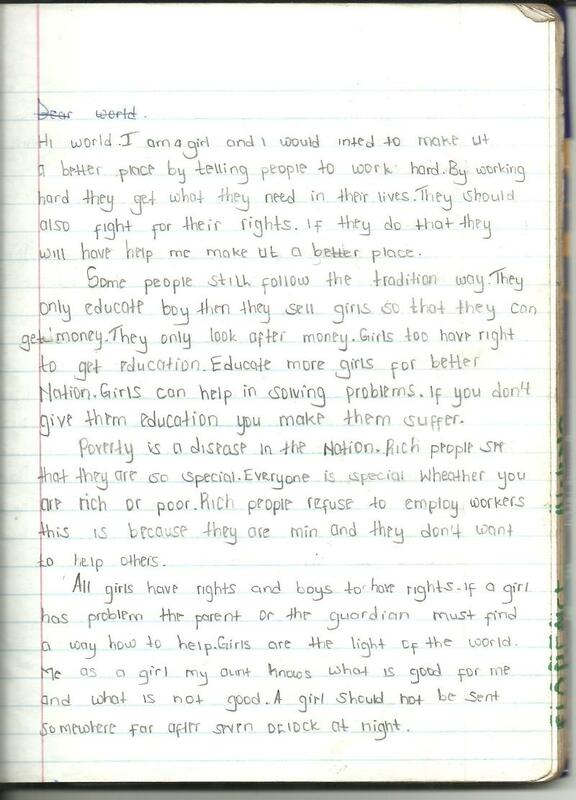 "Girls too, have a right to get an education. Educate more girls for a better nation. Girls can help solve problems. If you don't give them an education, you make them suffer." Thank you to Brenda Ochieng, for your work helping to develop the visions of these young female leaders!